When a barren planet is in the process of being terraformed, there will come a point where the first life forms can be introduced into the natural environment. 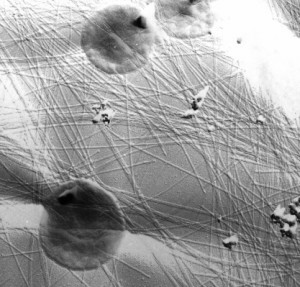 The implantation of this pioneering biosphere is often referred to as ecopoiesis. Initially, and perhaps well before plants and animals can be introduced, such a world is going to be suitable only for bacteria hardened to environmental extremes---the so called extremophiles. Here, we review some of the ecopoiesis candidates nominated by various authors. It's possible that one of the microscopic creatures described below could be the first terrestrial life form to truly colonize an alien world. Ecopoiesis is conventionally regarded as being possible on Mars once its CO2 atmosphere has been thickened and its greenhouse effect increased such as to raise the surface temperature above freezing. Mars would thus be tepid rather than frozen, but still relatively dry and anaerobic. (It is expected that generating breathable quantities of oxygen and mobilizing the planet's reserves of water will take still further time and effort.) Here are some of Earth's extremophiles that might prosper under such conditions. 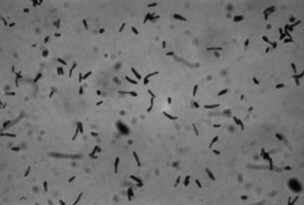 A primitive type of cyanobacterium, capable of surviving in a large variety of extreme conditions: exceptional aridity, salinity, high and low temperature. In the most hostile of these environments, Chroococcidiopsis can be the sole surviving organism. It is particularly common in regions with desert pavement morphology, living beneath translucent pebbles which act both as a moisture trap and UV shield. E.I. Friedmann, and R. Ocampo-Friedmann, "A Primitive Cyanobacterium as Pioneer Microorganism for Terraforming Mars," Adv. Space Res., 15(3), 243-246 (1995). 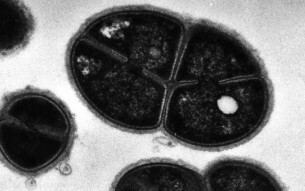 The only known desiccation-resistant cyanobacterium that can dissolve and bore through carbonate rock. Matteia is filamentous in shape and has the ability to fix nitrogen when nitrogen compounds are unavailable from the surrounding medium. It has been suggested that this organism might be used to liberate carbon dioxide on Mars and as part of a biogeochemical carbon cycle. E.I. Friedmann, M. Hua, and R. Ocampo-Friedmann, "Terraforming Mars: Dissolution of Carbonate Rocks by Cyanobacteria," JBIS, 46, 291-292, (1993). A heterotrophic bacterium with impressive resistance to UV and ionizing radiation, due to a multilayered cell wall, carotenoid pigments and super-efficient DNA repair mechanisms. D. radiodurans is sometimes found living in the cooling waters of nuclear reactors. 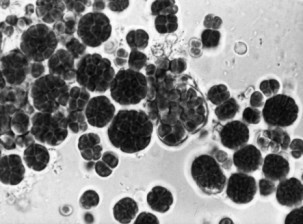 Genetic study of this organism might reveal how to protect future Martian life forms from solar ultraviolet radiation, before an effective ozone layer is in place. J.A. Hiscox and D.J. Thomas, "Genetic Modification and Selection of Microorganisms for Growth on Mars," JBIS, 48, 419-426 (1995). There are a variety of scenarios for terraforming Venus, all with their merits and flaws. In some of these, ecopoiesis could occur on Venus in scalding hot and acidic oceans, precipitating from a global "Big Rain" as the planet cools. Due to the steep thermal gradient in the crust, hydrothermal activity would be strong and ubiquitous---hot springs would be everywhere. 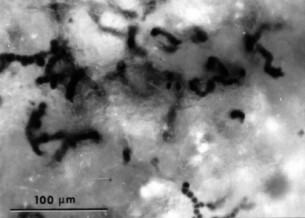 A hyperthermophilic bacterium with a metabolic optimum of 105 celsius, P. occultum is found living within submarine volcanic vents where it attaches itself to underlying rocks with a network of proteinaceous fibres. It is lithoautotrophic, obtaining energy by oxidising hydrogen with sulphur, and gaining biomass by fixing carbon dioxide. Venus after the "Big Rain" would be paradise for such an organism. M.J. Fogg, Terraforming: Engineering Planetary Environments, SAE International, Warrendale, PA (1995). According to the model of Stephen Gillett, oceans on a terraformed Venus are likely to be shallow and hypersaline and hence more similar in composition to the Great Salt Lake or the Dead Sea than the oceans of earth. H. salinarum is one organism that might thrive under such conditions: it can live in concentrated salt solution and, although heterotrophic, pigments in its cell wall can absorb light energy to augment its metabolism. S.L. Gillett, "The Postdiluvian World," Analog, CV(11), 40-58 (1985). Thanks are offered to Sue Croxford for scanning these images and to Imre Friedmann, William Grant and Reinhard Rachel for providing them.